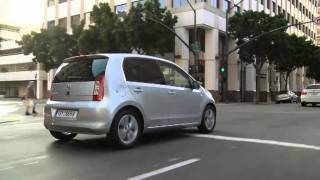 ŠKODA will present the new Citigo subcompact to the public as a five-door version for the first time at the Geneva Auto Show 2012. Media representatives will be offered a preview of the new ŠKODA including test drives in February 2012. The five-door version will be launched in European markets together with the three-door version from mid-May 2012. The Citigo represents ŠKODA’s entry into the fast growing subcompact segment. The new model was successfully introduced in ŠKODA’s home market, the Czech Republic, in late 2011. From this year, the Citigo is to conquer new customer groups for ŠKODA, thus contributing to the brand’s growth strategy. ŠKODA aims to increase its worldwide deliveries to a minimum of 1.5 million units a year by 2018. In 2011, the company achieved yet another sales record in its 117-year corporate history, selling 879,200 units. 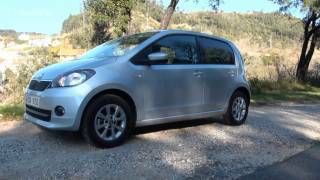 The Citigo ranks among the most compact and, at the same time, among the roomiest of its segment. In keeping with the brand’s ‘Simply Clever’ claim, the car impresses with a number of ingenious features such as a photo and document holder, a bag hook on the glove compartment and a range of net holders. The Citigo’s designers placed great emphasis on safety, winning the car the top score of five stars in the Euro NCAP crash test. And another premiere: the new city car is also the first ŠKODA model ever to sport the brand’s new logo. Powering the Citigo is a three-cylinder petrol engine with one litre of displacement in two versions with 44kW/60hp or 55kW/75hp. 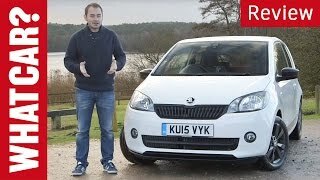 In its most efficient Green tec variant, the new Citigo achieves a mileage of 4.1l/100km, CO2 emissions in the new ŠKODA model amount to just 96g CO2/km. The smallest member of the ŠKODA family has recently become Best City Car in the largest Czech poll, the Car of the Year 2012.